Germanil is from the West Palm Beach area but believed to be in the Tampa Bay area. 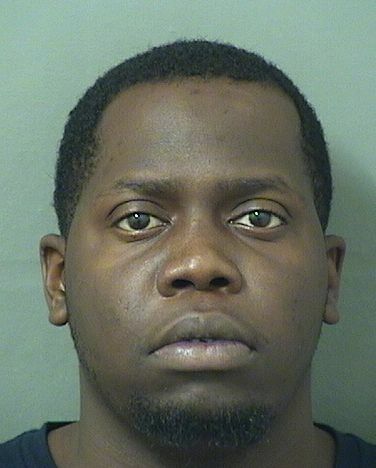 Crime Stoppers of Tampa Bay is offering a reward of up to $3,000 for information that leads to the location and arrest of Max Germanil for these outstanding warrants. Anyone with any information regarding this fugitive and who wants to be eligible for a cash reward is asked to call Crime Stoppers at 1-800-873-TIPS (8477), report anonymously online at www.crimestopperstb.com or send a mobile tip using the P3 Tips Mobile application. Crime Stoppers must be contacted first in order to be eligible for a cash reward. Winner is from the Tampa area but believed to be in Pasco County. Crime Stoppers of Tampa Bay is offering a reward of up to $3,000 for information that leads to the location and arrest of Thomas Michael Winner for these outstanding warrants. Anyone with any information regarding this fugitive and who wants to be eligible for a cash reward is asked to call Crime Stoppers at 1-800-873-TIPS (8477), report anonymously online at www.crimestopperstb.com or send a mobile tip using the P3 Tips Mobile application. Crime Stoppers must be contacted first in order to be eligible for a cash reward. Jones is from the Tampa area and may still be local. Crime Stoppers of Tampa Bay is offering a reward of up to $3,000 for information that leads to the location and arrest of Reginald Jones Jr. for this outstanding warrant. Anyone with any information regarding this fugitive and who wants to be eligible for a cash reward is asked to call Crime Stoppers at 1-800-873-TIPS (8477), report anonymously online at www.crimestopperstb.com or send a mobile tip using the P3 Tips Mobile application. Crime Stoppers must be contacted first in order to be eligible for a cash reward. Law enforcement believe he is Armed & Dangerous. Gray may be traveling in a green 2003 Lexus RX 330 bearing FL tag #JWF-X94. He has been known to frequent the University area. Crime Stoppers of Tampa Bay is offering a reward of up to $3,000 for information that leads to the location and arrest of Travis Joshua Gray for this outstanding warrant. Anyone with any information regarding this fugitive and who wants to be eligible for a cash reward is asked to call Crime Stoppers at 1-800-873-TIPS (8477), report anonymously online at www.crimestopperstb.com or send a mobile tip using the P3 Tips Mobile application. Crime Stoppers must be contacted first in order to be eligible for a cash reward. Viana is wanted for a Hit and Run Traffic Fatality that occurred at Himes Avenue North and Hillsborough Avenue West in Tampa on November 27, 2016. Detectives believe that Viana is responsible for hitting and killing a bicyclist, then fleeing. Information received by investigators indicate that Viana may have fled to the Framingham or Worcester Massachusetts area. Crime Stoppers of Tampa Bay is offering a reward of up to $3,000 for information that leads to the location and arrest of Frederick D. Viana for this outstanding warrant. Anyone with any information regarding this fugitive and who wants to be eligible for a cash reward is asked to call Crime Stoppers at 1-800-873-TIPS (8477), report anonymously online at www.crimestopperstb.com or send a mobile tip using the P3 Tips Mobile application, which is a free download for iPhones and Droids. Crime Stoppers must be contacted first in order to be eligible for a cash reward.